Relationship Baggage Weighing You Down? Breakups are never an easy thing to go through. We’ve all been there. I’ve certainly been there more often than I’d like to admit. Each and every relationship we have leaves its mark on us whether we want it or not. It’s what we do with this mark that makes a world of difference. Relationship baggage can weigh you down and get in the way of having a happy fulfilling life alone or with someone else. This baggage is heavy and each and every new piece of luggage you acquire adds to the weight. No wonder you aren’t able to move forward successfully! Every experience in life that we have is a learning experience. It has to be! If it’s not then what purpose did it have? Just to make us miserable? No thanks! When a relationship or liaison ends I choose to take a moment or two to be sad, then I pick myself up, dust myself off, give it some thought, learn from my mistakes and move on. I have gotten to a point where it really doesn’t take me long to get over something or someone. I keep growing as a person each and every time. I may make the same mistake more than once, but that’s OK, sometimes it takes me couple burned hands in the fire to realize that I shouldn’t be touching. Dating is a learning process. You need to sharpen your skills, one date at a time, one relationship at a time. The key is being true to you and being whole yourself and then it becomes easier to brush everything else off like it was nothing. I’m asked often how to let go and move on after a breakup. What I tell people is that it’s a CHOICE. You can choose to hold on and feel sorry for yourself, or, you can move forward to a better life. If something didn’t work out for you then it wasn’t meant to. It was broken. They weren’t right for you and you weren’t right for them. There’s nothing wrong with that. Why brood over it? Why hold on to something that’s no longer there? Chances are they will move on while you’re still celebrating your pity party. Let go!! Leave the pity party and join us over here at the cool kids’ party!! In all seriousness, letting go really is the only way forward. You can’t have a new relationship while the other one is lingering in the background. You know that. You also cannot judge anyone new by the standards of your past loves. Each new relationship and person is just that – NEW. Start fresh with a clean slate. This means trusting that this new person isn’t there to lie, cheat and hurt you. Innocent until proven guilty, right? Be cautiously optimistic. That’s what I do. I give someone a chance, but I am aware of everything, I listen to my gut and I don’t ignore red flags. 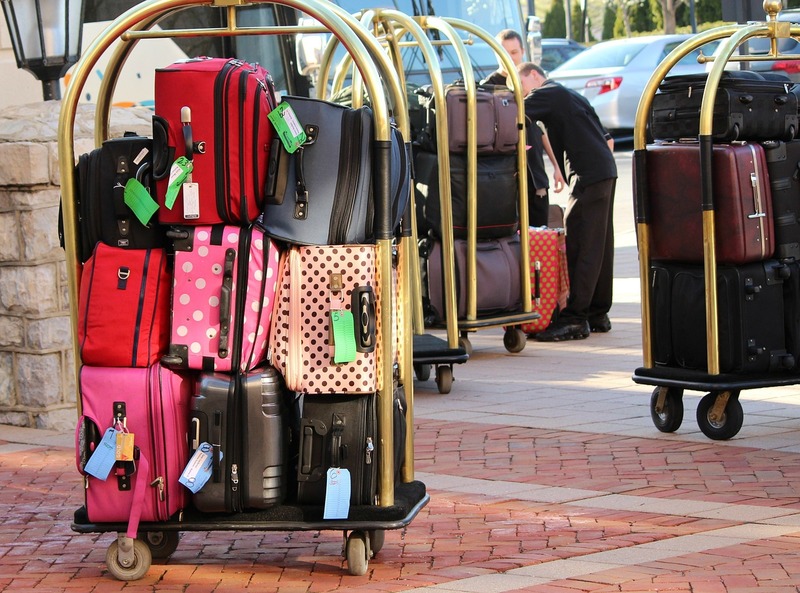 Take a hint from the airline industry, too much baggage is costly and a burden. Let it go and take what you need, not only will you be happier, you will be able to acquire NEW things that you’ll enjoy oh so much better!! Originally Published on Wink Wisely. Next I’m A Great Dating Blogs Finalist!